The Annual Bill Butler Champaign Open golf tournament was held at the Urbana Country Club on Wednesday. Proceeds from the long-running event are held in a separate account for any consumer served by CRSI who has unexpected expenses. In the photo, Leann and Dustin Wallen celebrate sinking a putt during the tournament. The Annual Bill Butler Champaign Open golf tournament was held at the Urbana Country Club on Wednesday. Proceeds from the long-running event are held in a separate account for any consumer served by CRSI who has unexpected expenses. In the photo, Urbana Daily Citizen sports editor Steve Stout sinks a birdie putt on hole number 9 while teammate George Wilson looks on from behind. Wilson won a gold medal as a member of the U.S. basketball team at the 1964 Olympics and also played seven seasons in the NBA. https://www.urbanacitizen.com/wp-content/uploads/sites/36/2018/08/web1_Wallen.jpgThe Annual Bill Butler Champaign Open golf tournament was held at the Urbana Country Club on Wednesday. Proceeds from the long-running event are held in a separate account for any consumer served by CRSI who has unexpected expenses. In the photo, Leann and Dustin Wallen celebrate sinking a putt during the tournament. https://www.urbanacitizen.com/wp-content/uploads/sites/36/2018/08/web1_Stout_Wilson.jpgThe Annual Bill Butler Champaign Open golf tournament was held at the Urbana Country Club on Wednesday. Proceeds from the long-running event are held in a separate account for any consumer served by CRSI who has unexpected expenses. 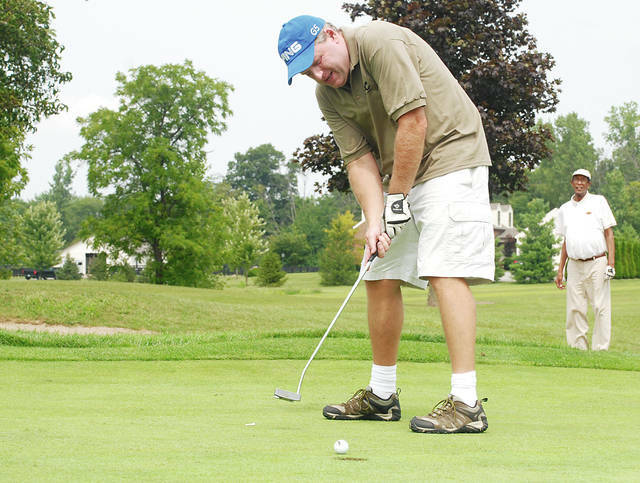 In the photo, Urbana Daily Citizen sports editor Steve Stout sinks a birdie putt on hole number 9 while teammate George Wilson looks on from behind. Wilson won a gold medal as a member of the U.S. basketball team at the 1964 Olympics and also played seven seasons in the NBA.